There are several reasons why a patient may need to consider reconstructive rhinoplasty. Some people may have obstructions within the nasal cavity that cause breathing difficulties. 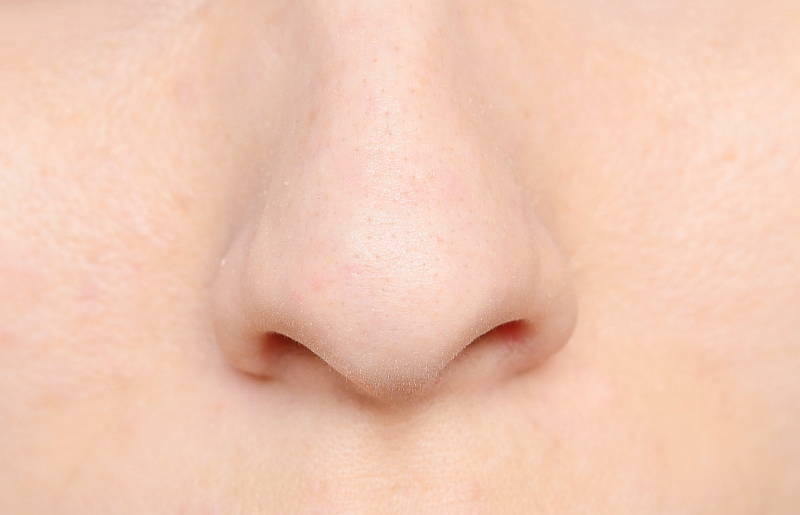 For such individuals, rhinoplasty surgery would focus on removing these obstructions to allow for easier breathing. 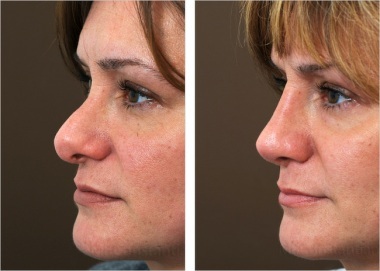 Another form of reconstructive rhinoplasty is referred to as revision rhinoplasty. This surgery addresses functional or aesthetic issues that have occurred from a previous rhinoplasty, i.e. a previous rhinoplasty did not have the desired result. Reconstructive surgery may be required to fix any problems that result from a broken nose or other trauma, especially following accidents that damage the internal structure of the nasal passages. Reconstruction rhinoplasty is also used to address problems related to cleft palate, cleft lip, or a combination of the two. In these cases, the rhinoplasty is not only used to try to provide a more natural appearance after cleft surgery, but it can also help rebuild the structures in the nose. Reconstruction rhinoplasty may be done in conjunction with cleft surgery in an effort to shorten the recovery periods that would be needed if the surgeries were done separately. Rhinoplasty surgery can be performed in either a closed or an open manner. If the surgeon opts for a closed surgery, this means that all incisions will be located inside the nose. Open rhinoplasty is performed by making an incision in the fleshy skin that is located in between the nostrils. Your surgeon will discuss these options with you to determine what will work best in your situation. Reconstruction is very similar to normal rhinoplasty, but there are some situations where the surgeries differ. If revision is being used to address problems associated with a previous surgery, the process becomes much more complicated. In these instances, the surgeon must deal with a decrease in the amount of available cartilage, which often requires grafting from the rib or ear cartilage. This ensures that the surgeon has enough cartilage available to rebuild the structures of the nose. Another issue that is common with revision rhinoplasty is the scar tissue that is present from previous surgeries. This results in a much more delicate process to try to prevent complications resulting from the bbuild-upof scar tissue after the surgery is completed. Whilst there is no guarantee with any surgical procedure, reconstructive rhinoplasty generally has good results. Those who require the surgery for breathing issues are usually able to notice a difference soon after the surgery is completed and the swelling has subsided. When reconstruction is used to address problems associated with trauma or cleft issues, surgical outcomes may vary depending on the severity of the initial issues. However, while these surgeries are performed to address problems of the inner structures, surgeons also focus on providing a pleasing appearance as well. A complete transformation may not be possible in all cases but there should be a marked improvement after the surgery is completed. There are many functional benefits to reconstructive rhinoplasty, as well as aesthetic. Take the time to go over what you are hoping to accomplish with a qualified surgeon, and he or she will be able to help you understand the potential outcomes of your surgery. If you have questions about reconstruction rhinoplasty contact your local doctor who will arrange for you to see a rhinoplasty specialist. A 2004 rhinoplasty left this patient’s nose bulbous, and affected her breathing Dr. Mark B. Constantian rebuilt her nose earlier this year, and her breathing improved. NO face-lift stops time, so as aging continues, even a satisfied patient may choose to have another one a decade later. But what if your face-lift never pleased you, not because of complications or monstrous scars, but because of aesthetics pure and simple? Perhaps your first surgeon’s technique resulted not only in a tighter jaw line, but also a flat wind-swept cheek and a stretched mouth. Or your nose no longer has an unsightly bump, but now, postsurgery, is asymmetrical. These days, there’s such a critical mass of plastic surgery patients dissatisfied with their results that many doctors market secondary surgeries, or re-dos. It’s not hard to find surgeons’ Web sites that describe in detail how an asymmetrical nose job or an unsatisfactory face-lift can be righted.